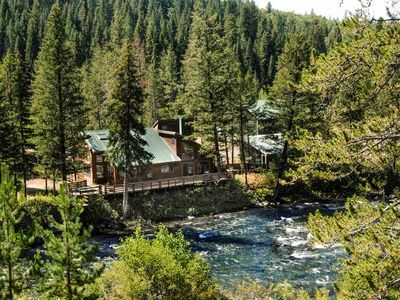 Riverfront Cabin on Henry's Fork with Spectacular Views. Please visit our website for more detailed information. See below for the link. 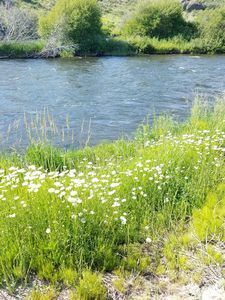 Newly remodeled and expanded cabin located on the banks of the Henry's Fork River. 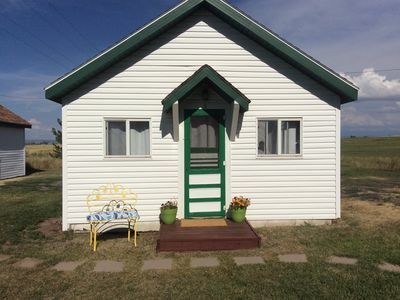 The cabin features a beautiful location with unsurpassed views. 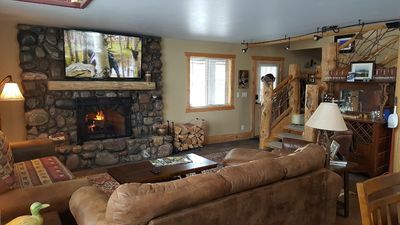 Nestled in the trees the cabin features 5 bedrooms and a bunk area, 4 bathrooms, 2 family rooms, large kitchen and dining area and plenty of space for families. 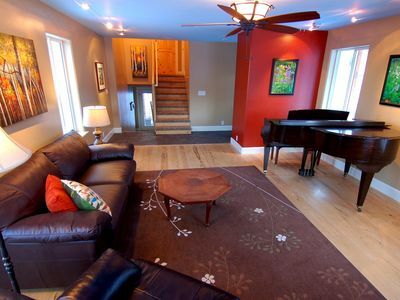 It is over 3500 sf and sleeps 24 in beds. 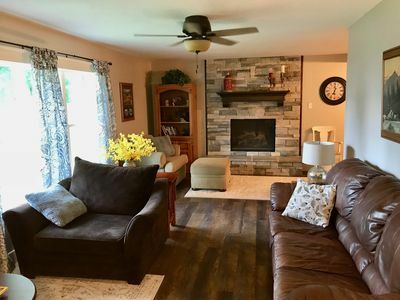 It is fully stocked with 2 refridgerators, 2 ovens, large cook top, wireless internet, private hot tub, and all amenities needed for large get togethers. 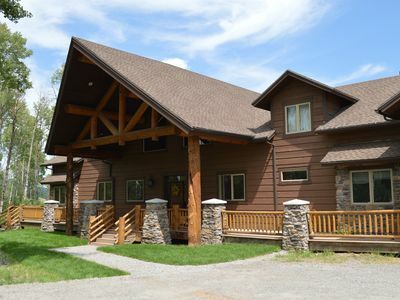 The lodge is perfect for family reunions or just a simple family get together. 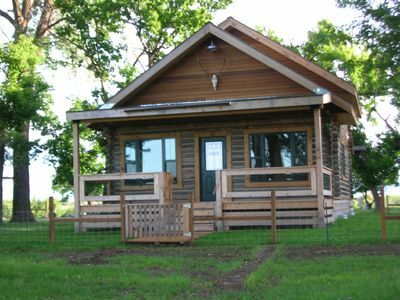 The cabin offers beautiful new decor, luxury linens, comfortable beds and a location that can't be beat. Everyone can relax in the hot tub or bring your favorite DVD/Blu Ray to watch on the 55' TV. 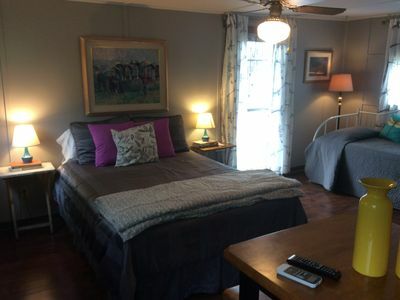 Three of the bedrooms also have TVs with satellite. 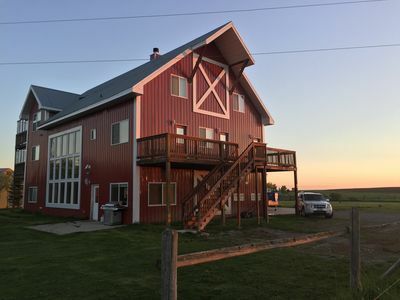 We are also one of the rare rentals that offer a high speed internet connection (computer not provided). 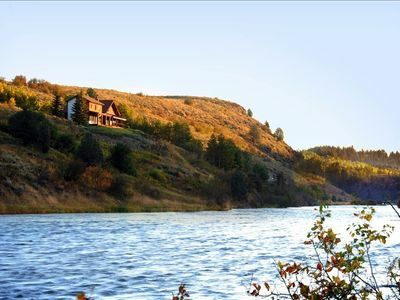 Mesa Falls Lodge is located eight miles east of Highway 20 in Ashton, Idaho just off the Mesa Falls Scenic Byway. 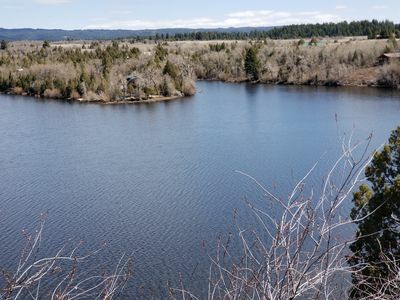 During the summer months popular activities include fishing right outside the back door, inner tubing down the river, world class ATV riding at the St. Anthony Sand Dunes, bike riding (road or mountain bikes) and water-skiing on the glassy Ashton Reservoir. 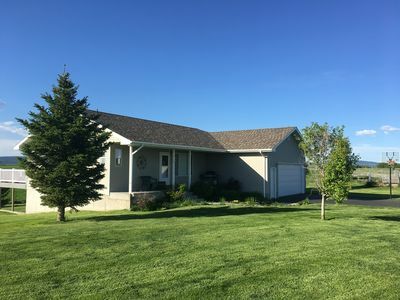 There is a public golf course just a short drive away. Winter is perfect for snowmobiling in Yellowstone and the surrounding areas all of which can be accessed directly from the cabin. No need to trailer your sleds unless you want to explore farther away. Snow shoeing or cross country skiing can also be done directly from the cabin. We are located 10 minutes away from the spectacular Mesa Falls waterfalls. We are an hours drive from the West Entrance to Yellowstone National Park. You can also explore the Bechler area of Yellowstone which is just 20 minutes away. 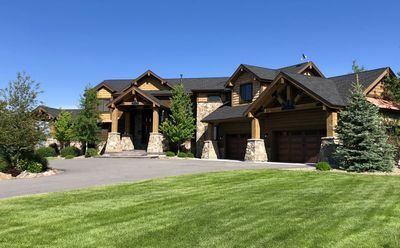 We are located approximately an hour away from Jackson Hole and Grand Teton National Park. If your desired dates are booked, please let us know as occasionally there are cancellations. 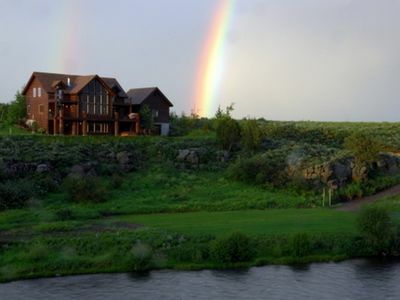 Idaho's Henry's Fork Ranch offers guests more than all the others. 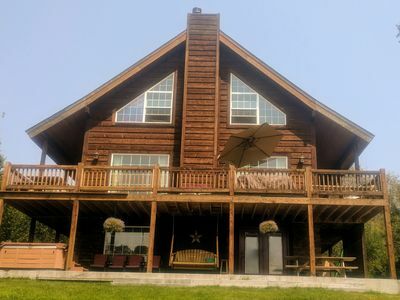 Secluded Lakefront Log Cabin - Fishing & Wildlife Paradise! 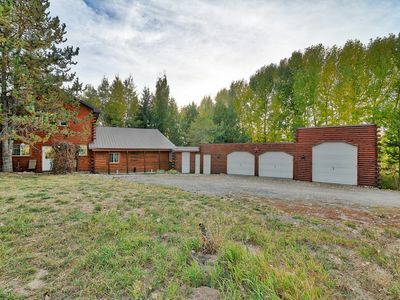 Secluded 6 acre home next to the Henry's Fork River. 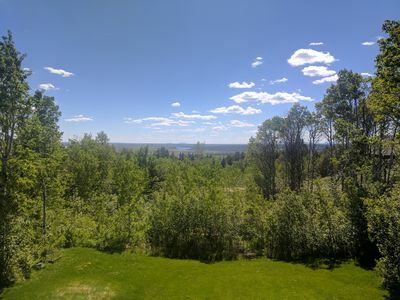 Country Getaway nestled between Yellowstone and Grand Teton National Parks!